I love Violet Voltaire's new necklace with great love. I am going to weld it to my skin. Luckily, my inner post-apocalyptic rockabilly drow (don't you have one?) is probably into that kind of thing. 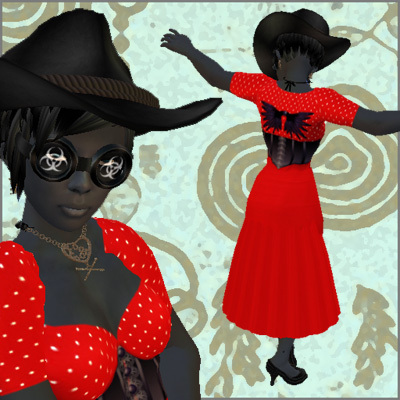 Find it at ~All Dolled uP~ Doll avatars, Salutaris 2, 162, 52, 313. ***Necklace: ::Violet Voltaire:: My Violent Heart in rusted, (Salutaris 2, 162, 52, 313). Wow, that looks absolutely amazing with that skin tone. I love eet!